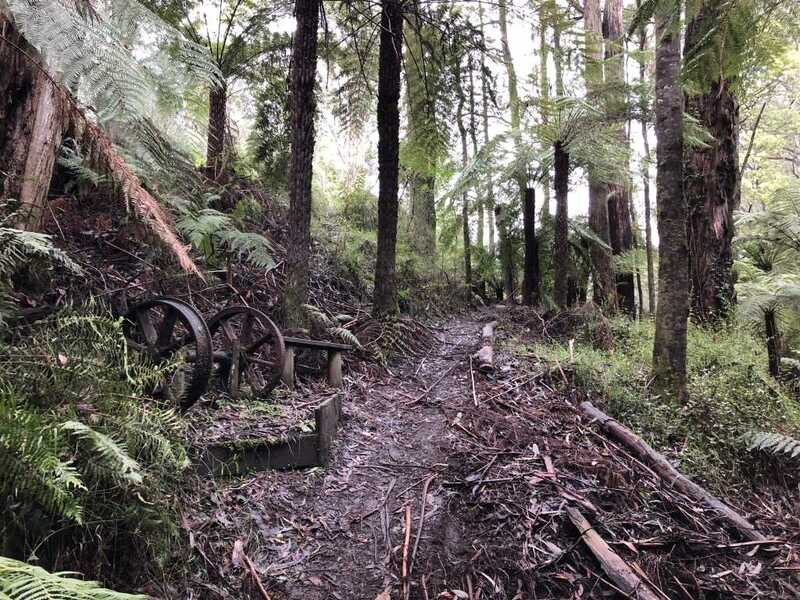 Located in the very heart of Powelltown, Reids Tramline Walk is a near-on 6km walk through the final section of the Walk into History. 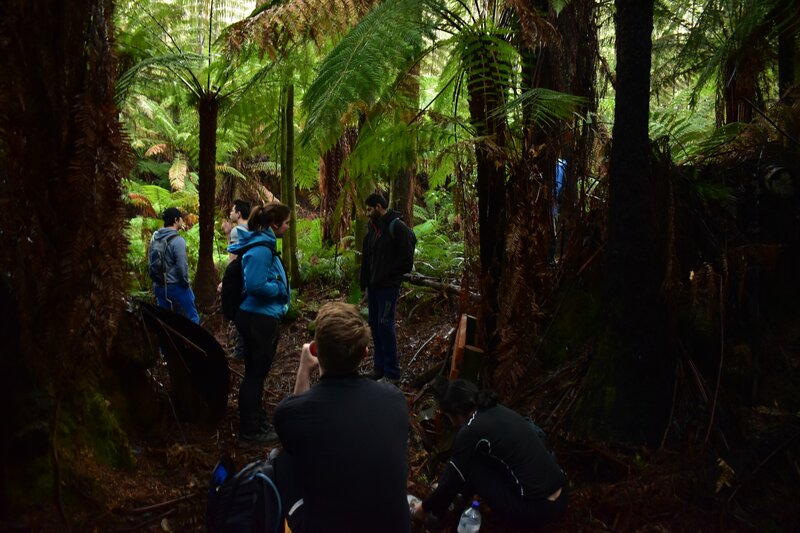 If you’ve never been hiking through the Warburton/Powelltown area before, there’s one thing you can always count on – lush rainforest area. And Reids Tramline Walk is no exception. 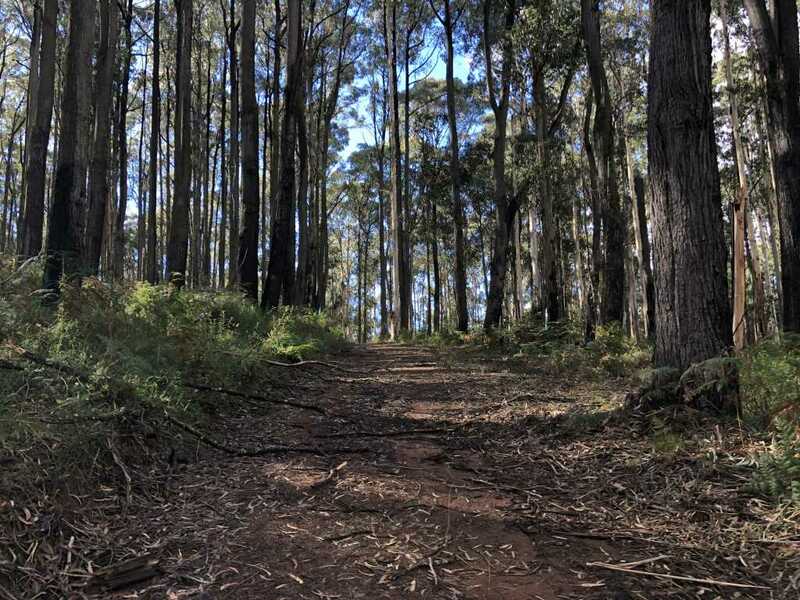 Starting at a small car park/picnic area just before the Powelltown pub, this is a loop walk that can be started one of two ways: into the forest or walk along the road for a short distance. Our group decided we would start the hike by heading into the forest first. 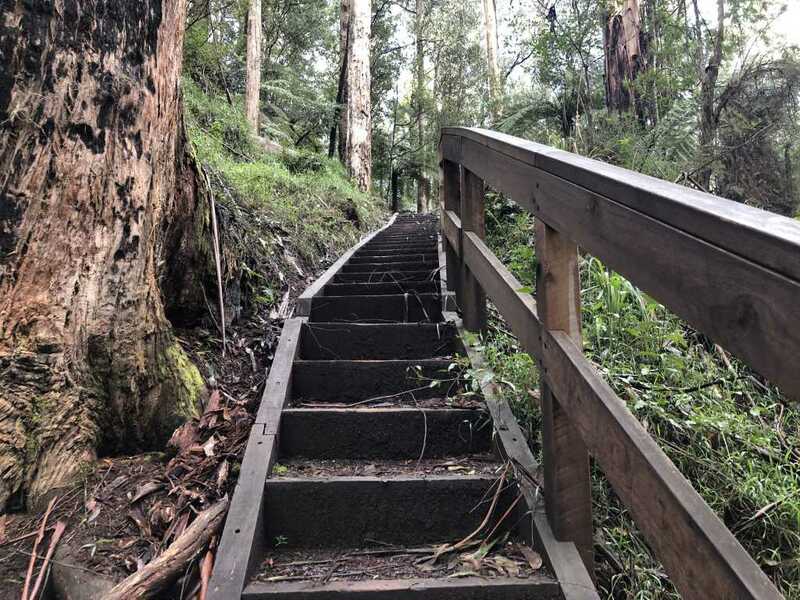 The path begins by descending into a small, lush grassy area where you cross a corrugated bridge over the Little Yarra River. Ascending a short staircase, and heading right after the signpost, the trail then widens significantly to that similar of a fire trail. 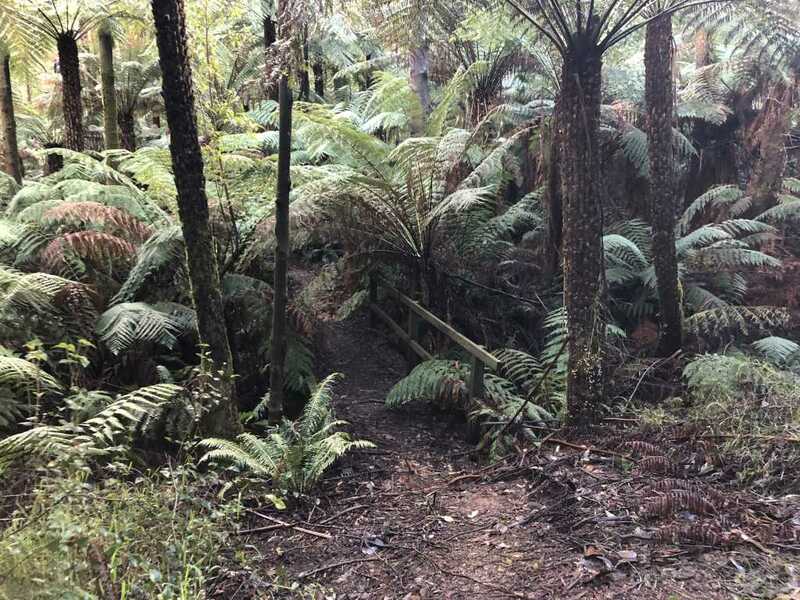 This section of the trail rises gradually but not to the point where your calves and quads are screaming for you to stop. Eventually, it flattens out and after passing a few bends, another signpost prompts you to take another right deeper into the forest. For mine, the next section of Reids Tramline Walk was the best part of the entire hike. 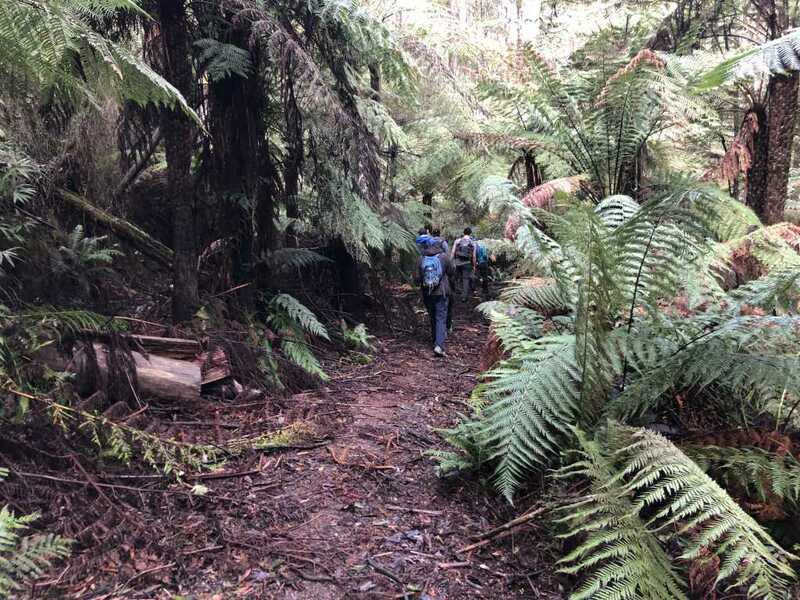 I’ve always had an affinity for the Warburton area, and its hikes, for a number of reasons; mostly due to the fact that it is the location of my first overnight hike. As you continue further into the forest, it starts to get a little darker and a little muddier (which is usually typical of most hikes in Warburton!). Eventually, you’ll cross another bridge and then come to a t-intersection where Reids Mill is only a short walk turning left. The other great thing about a lot of the tracks associated with the Walk Into History is that there are still a few old relics left over from the days when logs were transported through the area. Reids Mill, along with several other sites in the area, is home to some of these relics and its great to see that they haven’t been removed. It’s also home to a perfect spot for you to sit and have a lengthy break and something to eat. Heading back the way you came in, and passing the t-intersection, continue to head south until the track leads to back to Yarra Junction-Noojee Road. From here, turn right and stick to the side of the road as it leads you back to the start. Overall, I found this hike to be most enjoyable and one I would recommend for just about anyone. It is well-signed, has a well-formed track and is absolutely picturesque in every sense of the word. Given it is amongst a rainforest, there’s always a chance that leeches will be out in full force; especially during the wet season. They really are nothing but pests and if you cover up completely, and maybe spray some repellant across your pants and shoes, you should avoid them latching onto your skin. As always, if you wish to follow this track on the WikiLoc app, you can do so by downloading it here.